The track is nestled on more than 1,400-plus acres in the Irish Hills of southeastern Michigan. 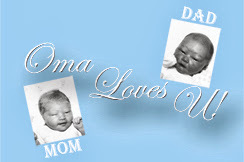 Groundbreaking took place on September 28, 1967. Over 2.5 million yards of dirt were moved to form the D-shaped oval designed by Charles Moneypenny, who previously designed the 2.5-mile Daytona International Speedway. The original layout included infield and exterior roads, which could be combined to form a single 3.1-mile interior/exterior road course or divided into separate 1.9-mile interior/exterior road courses. The road courses were designed by Formula One great Stirling Moss and are still used on a limited basis for passenger car testing by area law enforcement agencies. The last interior road course race was held in 1984, and the last time the exterior road course was used was in 1973. 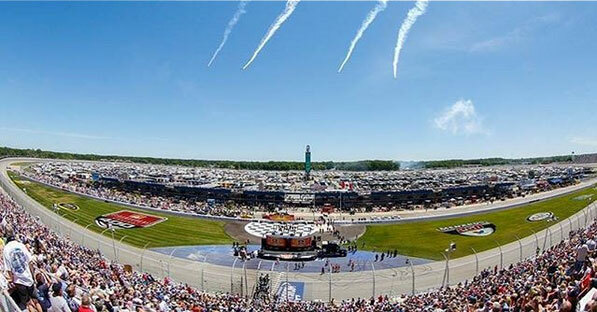 The prime mover in the venture was Lawrence H. LoPatin, a Detroit-area land developer who built the speedway at an estimated cost of $4-6 million. The saucer-shaped, 18-degree banking provided exciting racing right from the start. The Inaugural Race took place on October 13, 1968. The 250-mile Indy-style event posted a purse second at the time only to the Indianapolis 500. Ronnie Bucknum collected $20,088 as the first driver to take the checkered flag. Cale Yarborough won the first NASCAR race at the speedway on June 15, 1969, in a thrilling duel with LeeRoy Yarbrough. The two drivers battled door-to-door for most of the final 150 laps. On their final circuit, they touched twice-entering turn one, with Yarbrough brushing the outside wall. They then drafted down the back straight, and through turn three. But while coming out of the final turn, LeeRoy Yarbrough spun and crashed just 300 yards from the finish line, handing the victory to Yarborough. 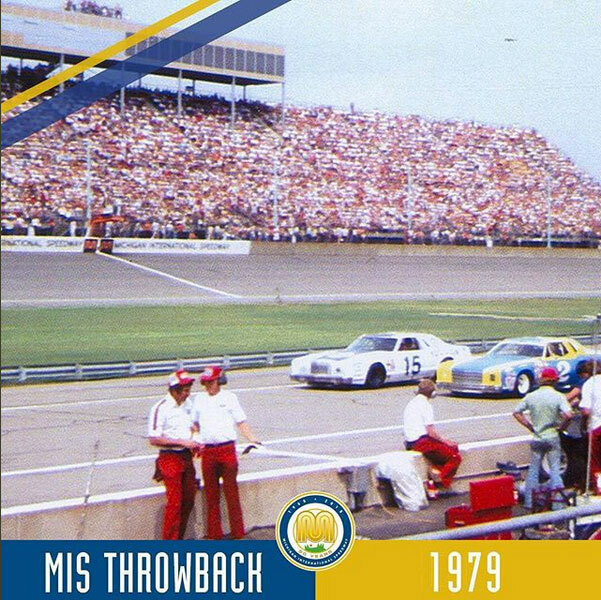 Since then, MIS has hosted a number of historic races and many legendary drivers. Richard Petty, Mark Donohue, A.J. 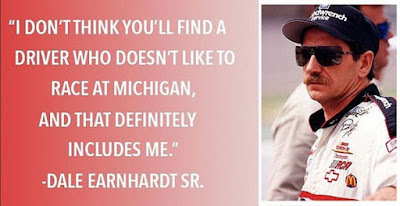 Foyt, Mario Andretti, Parnelli Jones, Gordon Johncock, Emerson Fittipaldi, Al Unser, Bobby Allison, Buddy Baker, Neil Bonnett, David Pearson, Davey Allison, Rick Mears, Dale Earnhardt, Buddy Rice, Alex Zanardi and Jeff Gordon all have celebrated wins in Victory Circle at Michigan International Speedway. MIS has honored these drivers and all of its past champions in the Walk of Champions area in the AAA Motorsports Fan Plaza. LoPatin has been called a visionary and a man well ahead of his time. In an era well before motorsports became part of mainstream America, he dreamed of owning speedways in Michigan, Georgia, Texas, California and New Jersey - all hot spots for speedways today. LoPatin selected the land MIS sits on today for its proximity not only to Detroit, the Motor City Capital of the World, but to Chicago, Indianapolis, Cleveland, Canada and the entire Midwest. If LoPatin and his American Raceways, Inc.(ARI), were guilty of anything, it was trying to do too much, too fast. 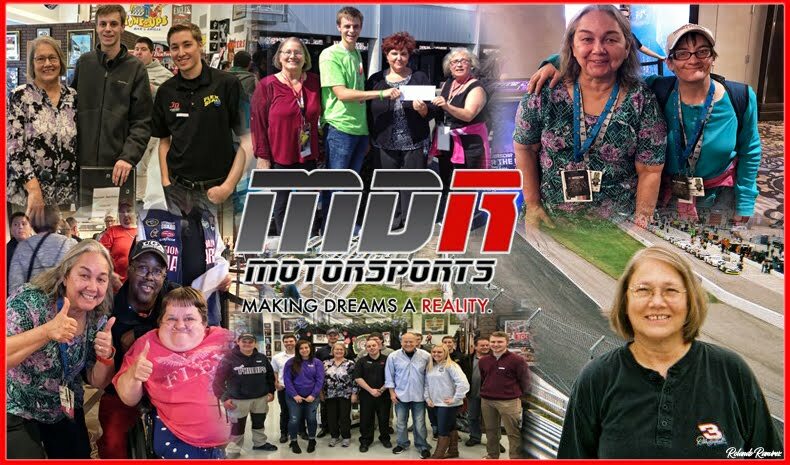 While Michigan International Speedway has always been a profitable venture, other ARI speedways were a drain on the company's budget, and ultimately, ARI went bankrupt. In 1971, the company was forced to seek protection under bankruptcy laws, allowing the track to maintain it's racing and testing schedules. In 1972, ARI went into receivership. That's when another visionary - entrepreneur and racer Roger Penske - picked up on LoPatin's dream. 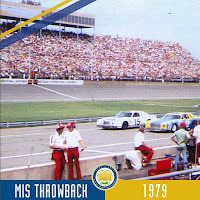 In 1973 - when the oil crisis and rising gas prices threatened all of racing - Penske envisioned turning MIS into a premier motorsports facility. After purchasing the deed to Michigan International Speedway off the Lenawee County courthouse steps for an estimated $2 million, Penske went right to work to improve the speedway to his standards. He invested millions of dollars on one capital improvement project after another with a goal of making Michigan International Speedway one of the best speedways in the world. During Penske's ownership, the grandstands were expanded from 25,000 to over 125,000 seats, and numerous buildings were added to the property, including three garages, 28 pit terrace suites, an administration building, two ticket offices, a maintenance building, a warehouse, a sign shop, an entertainment shop, a Competition Tire building, and a Motorsports International building. For over 25 years, Penske invested in Michigan International Speedway, long after the track's reputation was everything - and more - than he imagined it could be. He even added two racing-related businesses on the Speedway grounds - CompTire and Motorsports International. Penske later rebuilt Nazareth Speedway in Pennsylvania using the same formula s he did for Michigan - resurrecting a track out of bankruptcy. 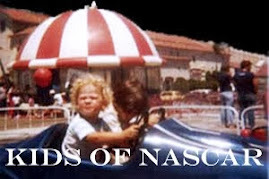 In 1997, Penske took his speedways and racing-related businesses public, forming Penske Motorsports, Inc. That same year the company built California Speedway and purchased 45 percent of Homestead-Miami Speedway. In 1998 it added North Carolina Speedway to its portfolio. In July of 1999, Penske Motorsports, Inc. was purchased by the country's leader of motorsports entertainment - International Speedway Corp. ISC was founded by another visionary - Bill France - who built the world-famous Daytona International Speedway and founded NASCAR, the country's most popular racing series. ISC now owns 12 different motorsports venues, including former Penske speedways plus Daytona International Speedway, Talladega Superspeedway, Darlington Speedway, Homestead-Miami Speedway, Richmond International Raceway, Watkins Glen, Phoenix International Raceway, Martinsville Speedway, Kansas Speedway and Chicagoland Speedway. In August of 2000, the Speedway unveiled a new logo and announced it would add the "International" back to its name, which had been changed to Michigan Speedway in 1996 to align itself with three other Penske-owned facilities (California, Nazareth and North Carolina). Today, Michigan International Speedway is considered one of the country's premier racing facilities, and yet, it still focuses on constant improvements. In June 2010, MIS unveiled its new suite/media center building along pit road, which features state-of-the-art accommodations for its suite customers and visiting media members.